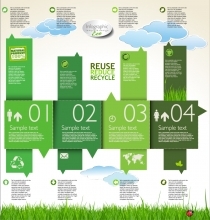 Infographic ECO Weather Vector free download File Type: eps File Size: 2.4MB Author: zcool. License: Non commercial use, learning and reference use only. Meteorological Information Label Vector free download File Type: eps File Size: 779KB Author: zcool. License: Non commercial use, learning and reference use only. 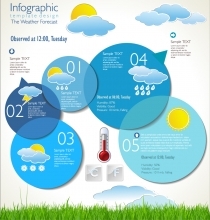 Infographics The Weather Forecast Vector free download File Type: eps File Size: 869KB Author: zcool. License: Non commercial use, learning and reference use only. Weather Background Vector free download File Type: eps,ai File Size: 7.5MB Author: zcool. License: Non commercial use, learning and reference use only. Weather Vector free download File Type: eps,ai File Size: 7.6MB Author: zcool. License: Non commercial use, learning and reference use only. 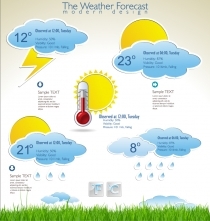 Weather Widget psd free download Adobe Photoshop psd ( .psd ) format Author: zcool. License: Non commercial use, learning and reference use only. Weather Icons 22 Vector free download Encapsulated PostScript eps ( .eps ) format Author: zcool. License: Non commercial use, learning and reference use only.